ARCA DE NOE was written by Vinicius De Moraes. 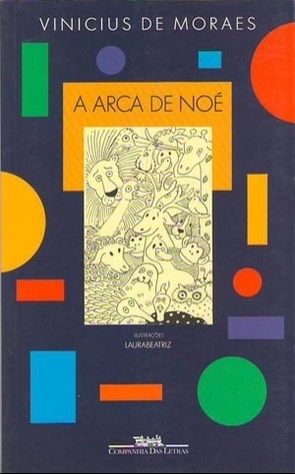 ARCA DE NOE was published by Companhia das Letrinhas. About Vinicius De Moraes (Author) : Vinicius De Moraes is a published author of children's books. A published credit of Vinicius De Moraes is El Arca De Noe. About Laurabeatriz (Illustrator) : Laurabeatriz is a published illustrator of children's books. A published credit of Laurabeatriz is Tales of the Amazon: How the Munduruku Indians Live.